Matthew B. Ross is a Research Scientist in the Center for Urban Science and Progress at New York University. Matt’s research interests center around questions from the fields of public policy, labor dynamics, innovation, technological change, human capital development, and discrimination. His specific research agenda is focused on three interrelated topics: 1) Exploring how the environment and networks in which STEM workers train affect their outcomes including research productivity, job placement, and entrepreneurship; 2) Examining how automation and technology have affected the world of working people; 3) examining productivity and discrimination in the context of police enforcement activity and training. Matt’s work has been published in scholarly journals across several disciplines including public policy and economics as well as leading scientific outlets for machine learning. 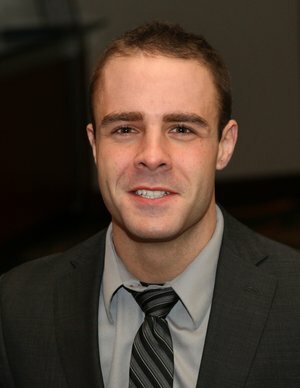 Beginning during graduate school in 2013, Matt began serving as a statistical adviser and lead author on an ongoing analysis of Connecticut’s traffic stop data. In 2017, Matt (along with coauthors) was awarded the Alvin Penn Award for Civil Rights Leadership by Connecticut’s Governor’s Officer and the Commission on Human Rights and Opportunities. Matt has presented his scholarly and policy work at the NBER Summer Institute, the Society of Labor Economics, the Association for Public Policy Analysis & Management, IZA, and the Urban Economics Association. Matt’s analysis of policing data has been covered by many local media outlets as well as the National Geographic, Reuters, NPR, Wall Street Journal, and New York Times. Prior to joining CUSP, Matt was a Post-Doctoral Research Associate at the Ohio State University. Matt has a Master’s degree in Regional Economic Development from the University of Massachusetts as well as a Masters and Doctoral degrees in Economics from the University of Connecticut.